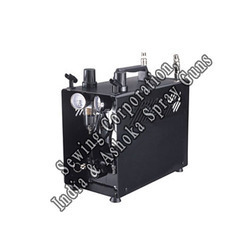 Compact and Convenient.Specially made for small-scale for air compression ( air brush). Professional High Performance Double-Piston Airbrush Air Compressor with TANK & Air Pressure Regulator with Gauge & Water Trap Filter. Our most popular double-piston compressor! Provides "air-on-demand" and automatically shuts off when not in use. The Most Sophisticated and Beautful Airbrush Compressor on the Market. 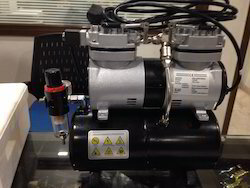 We are engaged in offering Air Brush Compressors.